Who is Dr. Frank J. Welch? Dr. Welch is the Medical Director at Ehormones MD, the Nation’s #1 Men’s Health Clinic. With more than 30 offices nationwide, Dr. Welch and our expert team of doctors specialize in Testosterone Replacement Therapy and Human Growth Hormone Therapy, also known as HGH Therapy. 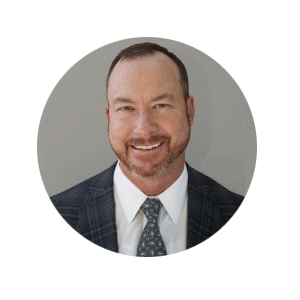 Dr. Frank J. Welch is a leading advocate and expert in the field of hormone replacement therapy, wellness and disease prevention. Dr. Welch specializes in treating male patients with HGH Therapy and Testosterone Replacement Therapy. Dr. Welch received his medical degree in from the University of New Mexico in 1993, where he also graduated Valedictorian in Chemical Engineering in 1985. He completed his residency in Preventive Medicine from Tulane University in 1998. Dr. Welch is a Board Certified Fellow of the American Board of Preventive Medicine and is certified in American Academy of Anti-Aging Medicine (A4M). He has worked in both academic and public health civil service for 20 years and is a highly experienced age management and hormone replacement physician. Dr. Welch is certified in anti-aging medicine with a special interest in the treatment of andropause and hypogonadism. If you are interested in becoming a patient of Dr. Welch, call Ehormones MD at (800) 658-8858 for a 100% Free Consultation. 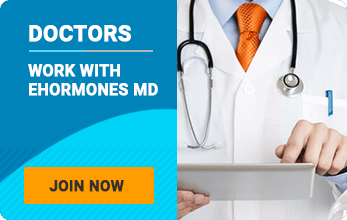 What Makes Ehormones MD Different? Each person is biologically unique. Therefore, the HGH doctors at Ehormones MD design comprehensive HGH Therapy and Testosterone Replacement Therapy protocols to match each person’s individual needs. At Ehormones MD, all patients undergo comprehensive hormonal lab work as well as a physical examination. Additionally, each individual receives a thorough consultation with his or her physician to discuss and interpret the lab results. Thereafter, your Ehormones MD HGH doctor will use your medical history, symptoms, and labs to develop an individualized and comprehensive HGH Therapy and Testosterone Replacement Therapy protocol. Testosterone Replacement Therapy (TRT) is generally administered in the form of a once weekly Testosterone injection. The doctor will also likely prescribe an ancillary medication known as Human Chorionic Gonadotropin (HCG) which allow the testes to continue its natural production of testosterone. In addition to HCG, a medication known as an Aromatase Inhibitor is often necessary. Anastrozole and Arimidex, a pill generally taken once to three times weekly, suppresses estrogen conversion while one is taking Testosterone. HGH Therapy prescribed by your Ehormones MD doctor is also administered by injection with an tiny insulin syringe injected nightly into the lower belly. If you would like a 100% Free Consulation, call Ehormones MD at (800) 658 8858, or simply complete the form on this page.